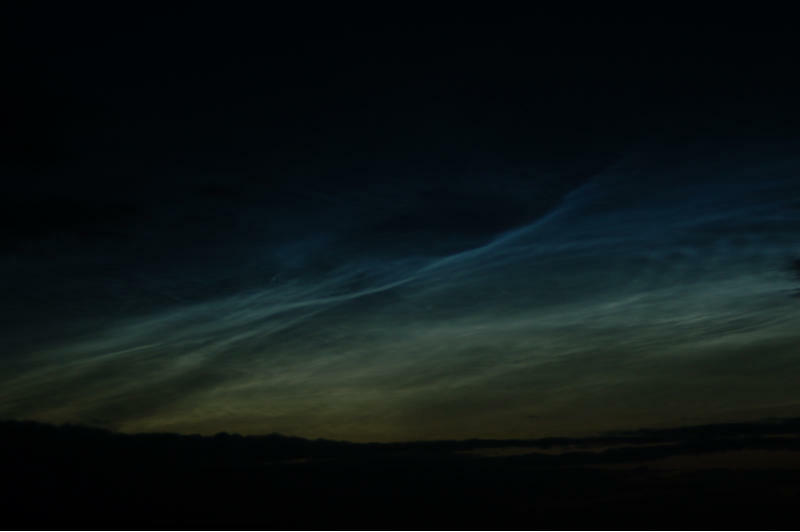 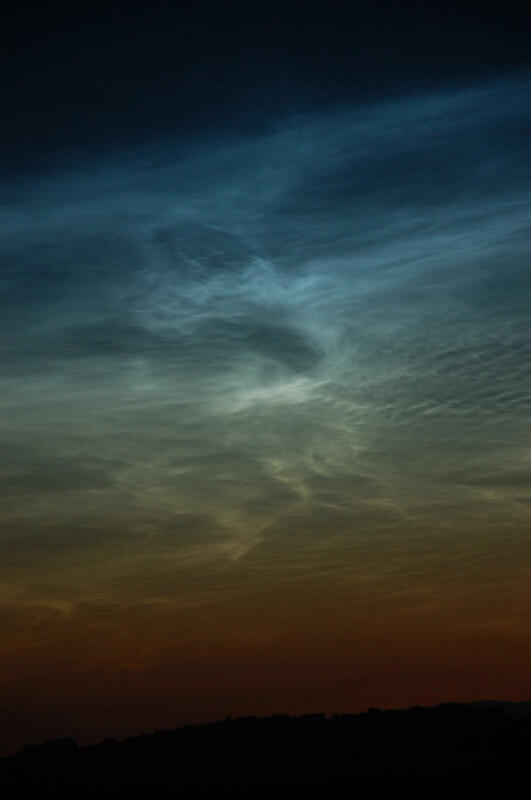 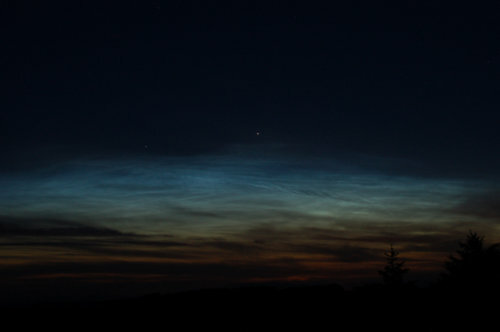 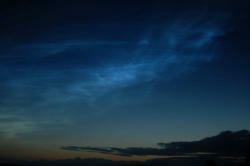 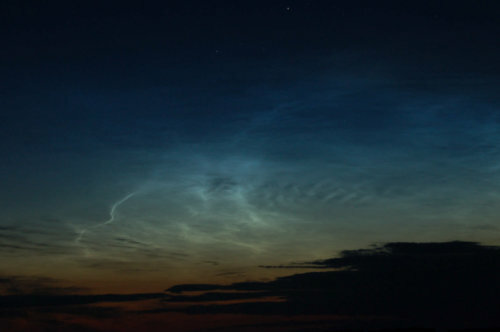 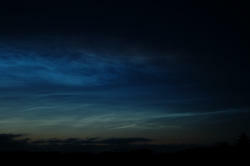 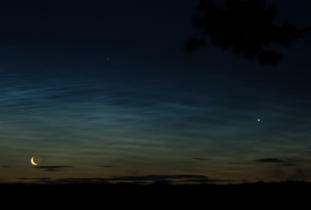 Noctilucent Cloud Display Images Noctilucent clouds are high atmosphere cloud formations thought to be composed of small ice-coated particles at very high altitudes - around 80 km, their precise nature remains a mystery. 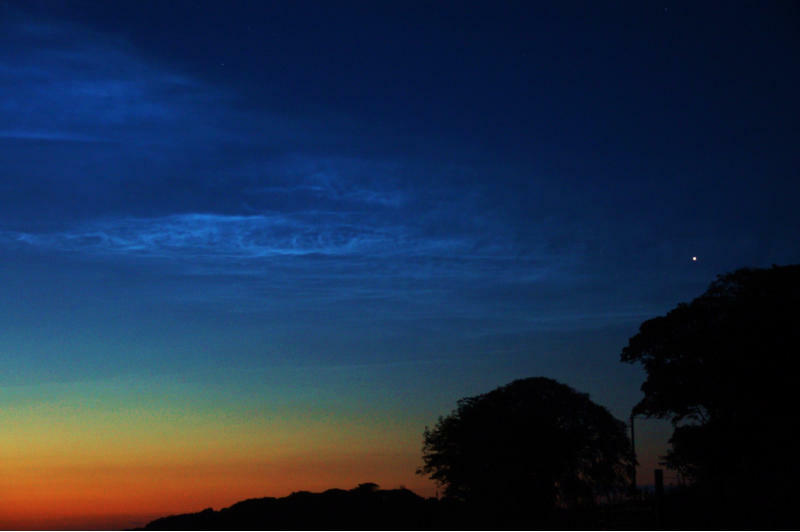 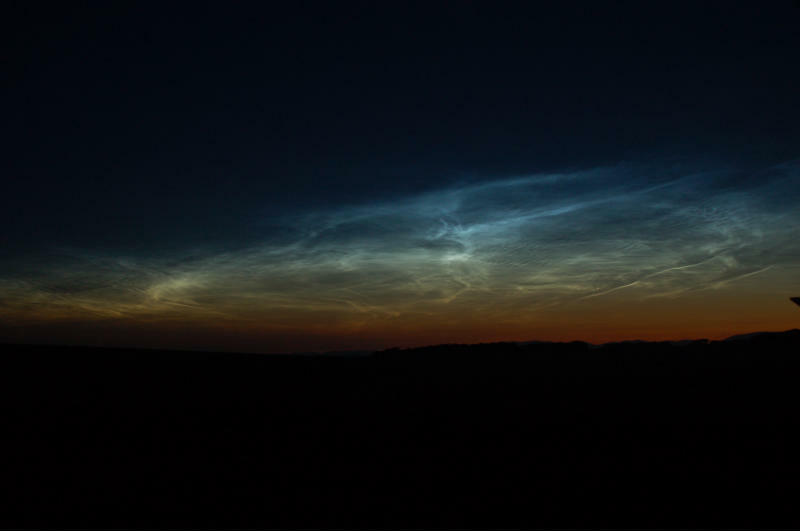 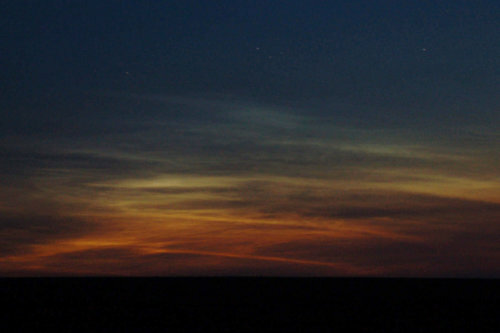 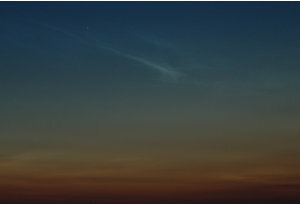 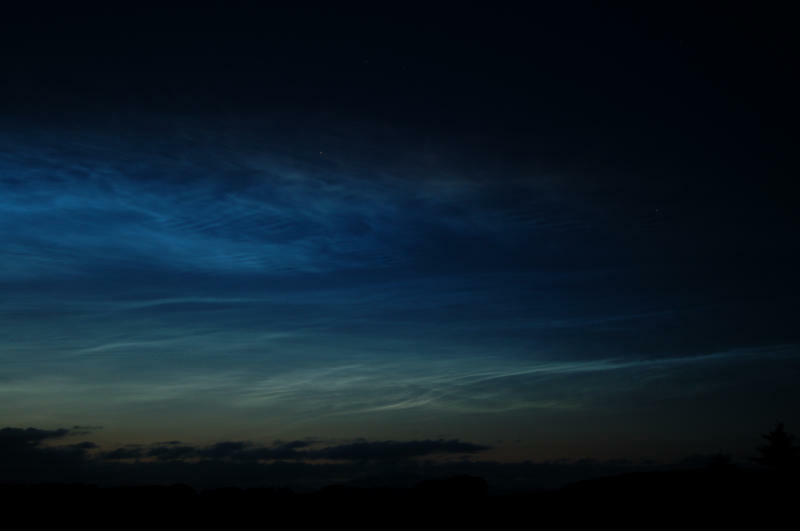 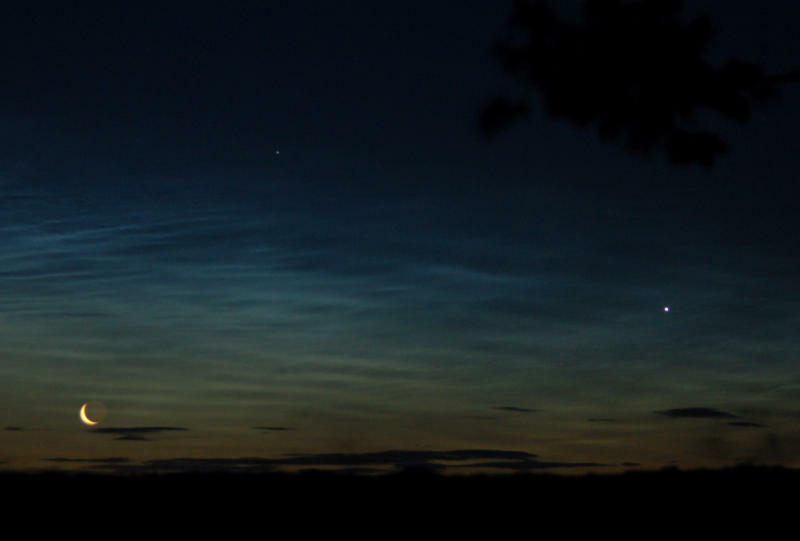 NLC’s are very tenuous in nature and are only visible during the deep twilight of summer nights at high latitudes when the Sun lies between 6 - 16 degrees below the horizon. 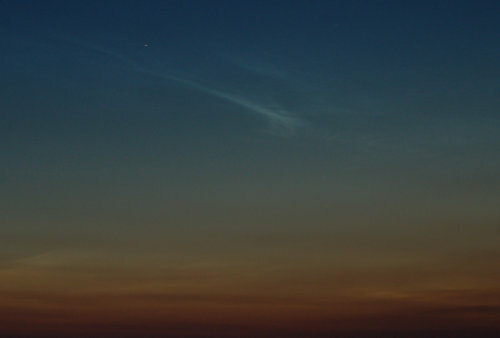 The lighter nights of Summer makes viewing faint objects such as galaxies difficult, but a good display of NLC almost makes up for it.